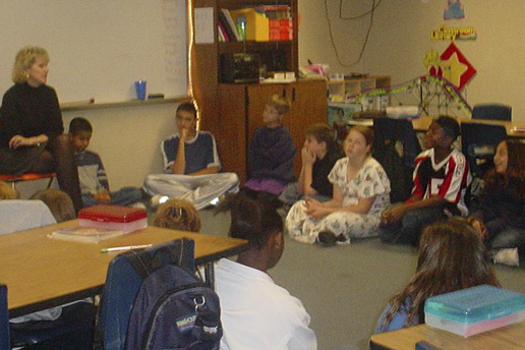 Class Meetings provide a forum where children feel safe to connect and solve problems. Your class meeting is where you would brainstorm ideas for your School Family chant and classroom commitment, celebrate achievements, and solve chronic problems. Problem: I’ve noticed ______. It’s a problem for me because______. Explore: Has anyone in the class noticed this? Is it a problem for you? Consensus: As a class family, we will: ______. Evaluate: How will we know the problem is solved? A template for the P.E.A.C.E. process and other helpful classroom items can be found on the School Family Make-N-Take, available as digital downloads as part of our Premium Resource Toolkit. Music that supports the Class Meeting includes “Let’s Celebrate” on It Starts in the Heart.